A strong return on investment: more than just profit. The Berner Group Berlin specialises in finding properties which meet the investment requirements and investment strategy of each individual investor. 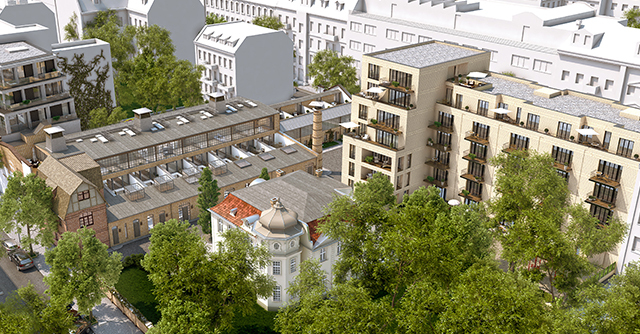 In its search for suitable properties, the Berner Group Berlin focuses in particular on finding profitable properties. The Berner Group Berlin carries out and manages all of the required due diligence processes. Suitable investment properties are selected with the greatest care and analysed in great detail. Key aspects of this systematic assessment include the strengths and weaknesses of the properties and any potential risks associated with their purchase. The object of the analysis is the location and site of the property, as well as its strategic positioning and any legal risks or environmental contamination. Once all the parameters have been defined, the Berner Group Berlin will develop a targeted investment strategy. When it comes to purchase financing, the Berner Group Berlin has access to a well-developed, national network of banks and has a close and trusting collaborative relationship with them. Depending on the type and scale of the project, banks can be individually consulted as cooperation partners so as to successfully secure the planned financing in line with the objective. The Berner Group Berlin is also on hand to help with the set-up joint project partnerships. The company serves as a long-standing trusted contact partner of the banks as part of such a partnership. This is an advantage particularly valued by foreign investors. The Berner Group Berlin always acts in the best interests of the investor when it comes to compiling and managing a property portfolio. Purchases, sales and rental strategies are planned in consideration of the objectives and a suitable joint strategy is accordingly implemented. This is based on investment criteria defined in advance. The Berner Group Berlin keeps an eye on anticipated market developments at all times. The Berner Group Berlin provides investors with all-round support relating to property investments, and comprehensive support with share deals. The company will clarify any legal affairs and contractual issues which may arise during a company purchase process. The Berner Group Berlin also provides support during the entire due diligence process. This is generally much more complex and elaborate than with an asset deal, for example.